A new report from the National Snow and Ice Data Centre reveals that the amount of ice in the Arctic in July 2011 reached a record low. The average sea ice extent in that month was 3.06 million square miles, fully 81,000 square miles less than ice extent from the previous record low in 2007. But as a result of the record-setting ice melt, new shipping lanes have opened up in the North to ship goods between Europe and Asia. Previously, transit across the northern sea route would require ice breakers to clear the way for cargo ships in the summer. But now the ice extent is 56% less than average in some areas, thus making travel across the once dangerous Arctic waters “very easy” according to Russia’s environmental agency. Although the news is a troubling indicator of the consequences of human induced global warming, it seems to be perceived by the shipping companies as good news. 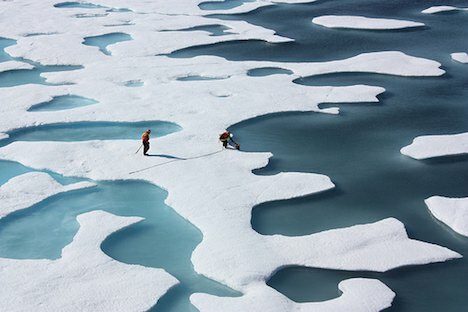 Already melting Arctic ice has launched a political battle over recently accessible Arctic resources. Now it seems shipping companies are eager to capitalize on the shorter shipping distance between Europe and Asia the Arctic ice melt has created. Previously, goods shipped from Europe to Asia would have to voyage across the Rotterdam-Yokohama route and then through the Suez Canal. But the opening up of the northern sea route cuts down shipping time by two-thirds, thus saving the companies both time and fuel. Russian Prime Minister Vladimir Putin plans to exploit the new Arctic route, by turning it into a year-round passage for commodity traders. Currently the route still requires icebreakers between July and November, although increasing arctic ice melt in the next few years could make icebreakers unnecessary in the summer. Already it is suggested that Arctic ice melt could make the North Pole ice free in the summer within the next few decades, much sooner than the benchmark of 2080 that the Inter-governmental Panel on Climate Change projected. What are your thoughts on the new shipping lanes in the Arctic? 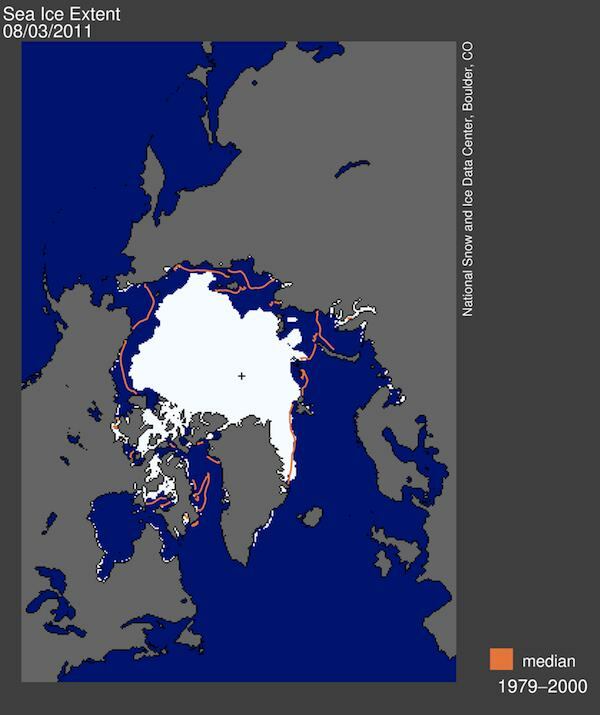 Sea Ice Extent image: National Snow and Ice Data Center. A mixed blessing. The profligacy of the past has helped to save some of it’s costs. When will policy makers decide to plan for security and enough for all without the need for rampant over consumption. “People aren’t spending! There’ll be a recession!”, or “They’re consuming too much- now my resources are threatened!”. Humans can’t have it both ways.